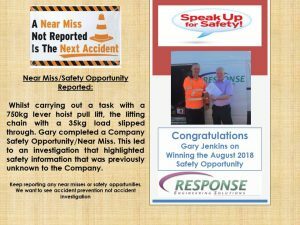 Near-miss reporting: A simple system for reporting near-miss incidents is a very important way of identifying problem areas. This helps Response to highlight some of the less obvious hazards in a workplace, or identify areas where a problem is developing. Some models suggest that for every accident there are approximately ninety near-misses. If there is a good reporting system in place, the hazard could be dealt with before someone is injured. It can be difficult to get staff to report near-misses or minor slip accidents, as they are often seen as funny or embarrassing occurrences (until someone is hurt). 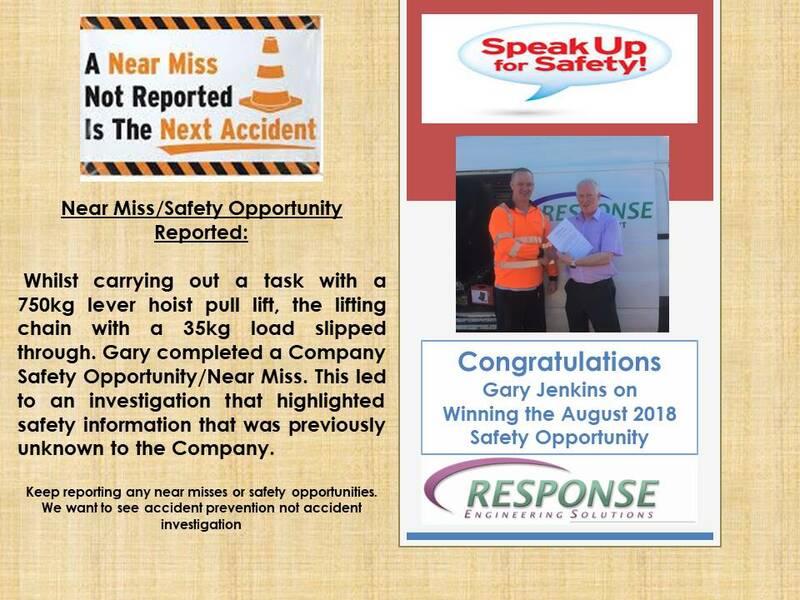 At Response it is important to create a culture which encourages reporting of these accidents. This entry was posted in Near Miss/Safety Opportunity. Bookmark the permalink.